My Dad had always talked with such obvious affection about his red MGA sports car. 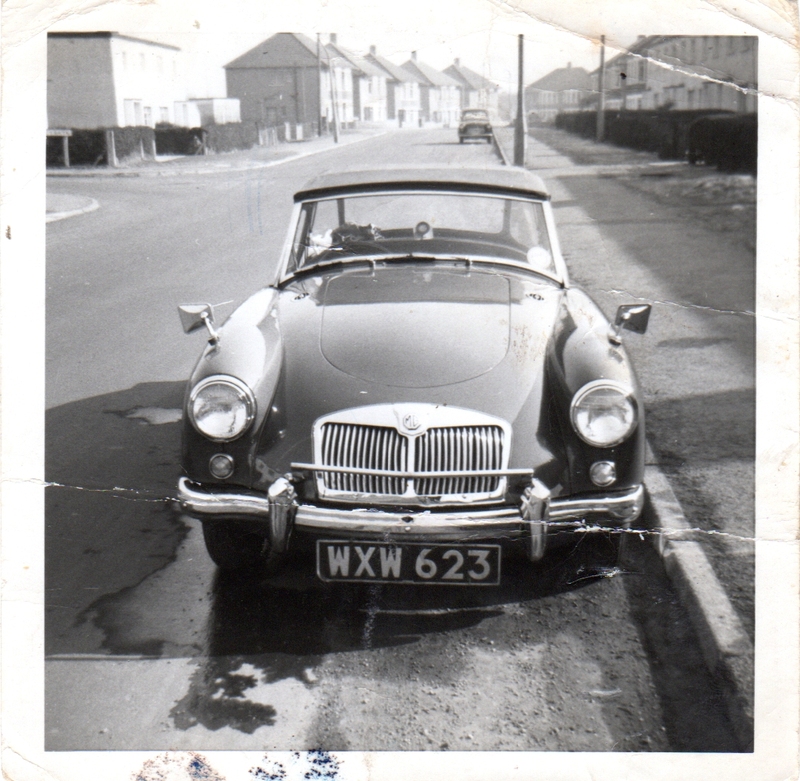 The car he sold to put a down-payment on his and my mum's first flat in 1964. So, one Sunday afternoon, I asked him about the car he called 'the second love of his life'. It was early 1963 and my dad, Peter Fears, was working as an apprentice draftsman at the Royal Ordnance Factory in Llanishen, Cardiff. The swinging sixties had just started and Peter was wearing sharp suits and enjoying late nights in the the music-filled nightclubs. He decided that it was time to change his Morris Minor convertible for something with a little more panache. The first car that captured his imagination was a Morgan 4/4. The sports car was in immaculate condition. The only stumbling block was the price of £525 (2018 equivalent - £10,500). And then Peter saw a red MGA sports car and fell in love. The MGA sports car was in fantastic condition. With 36,000 on the clock, Peter paid £320 (2018 equivalent - £6,400). The MGA sports car was produced by MG between 1955 and 1962. Peter's red MGA was a 2-door coupe rather than a 2-door roadster. The soft top was dark grey, perfectly matched to enhance the red bodywork. The interior was dark red leather upholstery and a red dashboard. The MGA had classic spoked wheels highlighting the sports image. This was a car to cherish. Peter's MGA was powered by a high-performance Twin-Cam engine first released in 1958. The engine had been updated to 1600cc in May 1959. In fact, only 31,501 MGA 1600 cars were made between 1959 and 1960. Help often comes in mysterious forms. One such occasion was when Peter was fixing the roof of the MGA. Some of the stitching had come undone and, although Peter was an engineer, he was struggling with a needle and thread. Along passed Jimmy Jones, an ex convict who saw what Peter was doing and offered to help. Jimmy had spend his time inside Cardiff prison sowing mail bags and had, by some unknown means, obtained the specialist tools needed to undertake such skilled needlework. By the time Jimmy had finished, the roof of the MGA was once again in pristine condition. 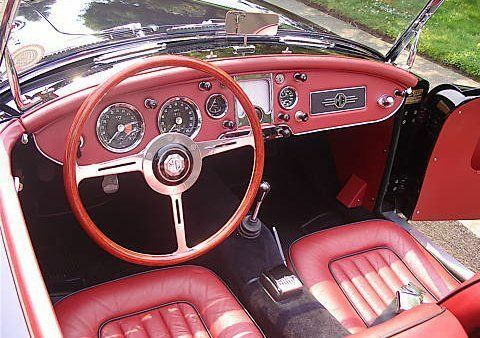 As with earlier and later MG sports cars, all the gauges were designed and manufactured by SMITHS Instruments. The classic black faces of the gauges sat perfectly in the red dashboard. SMITHS gauges for the MGA and other classic MG sports cars are still manufactured in the UK today, in line with original designs and drawings. After a single year's enjoyment, Peter was forced to sell his beloved MGA. He needed a deposit for his first family home with his new wife Gill and that came from the sale of 'the second love of his life'. My Dad is 80 next year and still talks fondly about his red MGA. 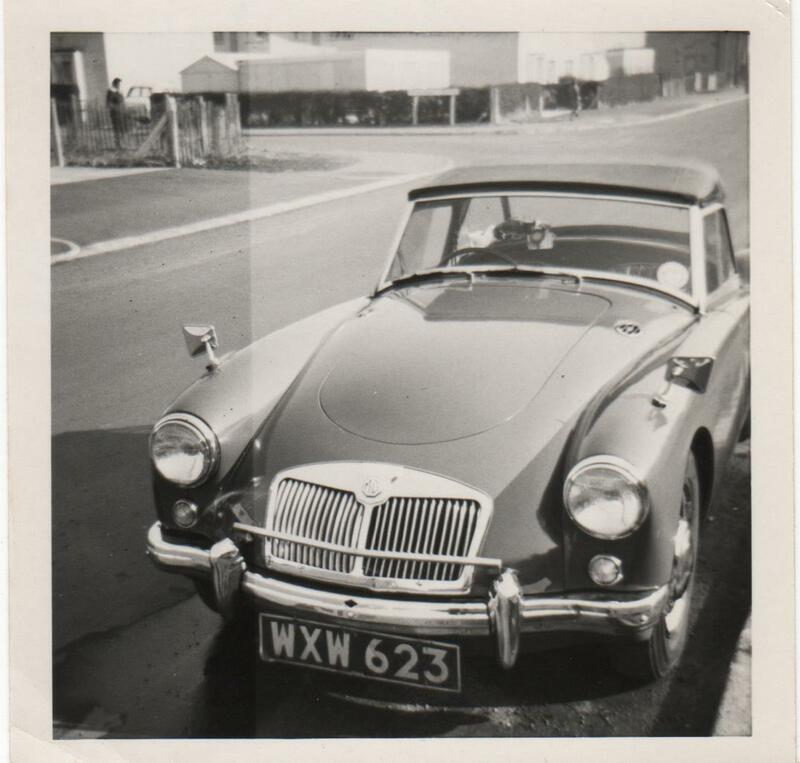 I managed to dig out some old black and white photos of the WXW 623 registration MGS sports car and just wish I had been able to see that bright red bodywork.